Vibrance Nutrition and Fitness | Study Says Low Fat Better Than Low Carb?! Not So Fast! You are here: Home » Weight Loss » Study Says Low Fat Better Than Low Carb?! Not So Fast! Study Says Low Fat Better Than Low Carb?! Not So Fast! The media’s been all aflutter over a recent study that claims that low fat dieters actually lost more fat than low carb dieters during a study that was published in Cell Metabolism this month. The BBC, NPR and many other major news outlets quickly spread this news and social media was on fire about it last week. Let’s take a closer look at the study itself before we jump to any conclusions, yes? Firstly, kudos to the researchers for creating a controlled environment. One of the most challenging aspects of dietary research on human beings is that self-reported data is notoriously unreliable and impossible to control. It is, however, cheap and easy to get in abundance, which makes it a common source of data. That said, the tight controls utilized in this experiment are very, very expensive, so what we have is a small study (19 obese people) on a lowered carbohydrate (140 grams/day) or very low fat diet (17 grams/day) for 6 days on each diet. 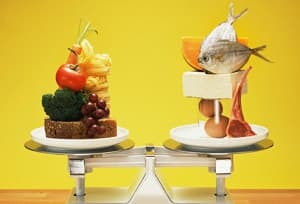 Note that this is actually not a comparison between a ‘low carb’ diet and a low fat diet. It is a comparison between a moderate carbohydrate diet and a very low fat diet. Protein intake was the same regardless of diet. My initial criticism is that 6 days is not long enough to determine the diet that will burn the most fat. As anyone who has done Atkins will tell you, the results of that first week on a very low carb diet are nothing like subsequent weeks, nor is the sustainability of that diet determined within 6 days. My second criticism: changes in fat were measured through DXA, which is considered the gold standard for changes in fat distribution over time. This tool is not sensitive enough to accurately detect smaller changes made over a brief amount of time. My Third Issue: This study is conducted on obese individuals who are otherwise healthy. As in, simply obese. No diabetes, no heart disease indicators, no hormonal disruption nor signs of other co-existing health issues. How much of the obese population ACTUALLY fits into that category? One of the greatest problems with research done today is that the need to control variables creates such a narrow population available for study that many significant errors are made when broadening those results out to reality. For instance – drug X is may be effective at suppressing breast cancer tumors. It is confirmed repeatedly in individuals with breast cancer. Drug X goes to market and only later, after many deaths, is it discovered that Drug X increases heart attacks by 300% within 2 years of prescription for individuals with diabetes. Because good science demands controlled variables all of the chaos of the real world cannot be considered. When we then take what we see in the lab and apply it to real life there are *always* unforseen consequences (SSRIs increasing suicide rates in teens comes to mind). I bring this up not to poo-poo the scientific method, but to remind everyone that any scientific result is not Truth until it has had ample time in a real world setting. It is not uncommon for 15-30 years to pass before enough eyes report enough evidence to get the tables turned on what has become common practice. Whenever something like this comes out in the media we must always look at it with a skeptical eye. Newspapers are designed to sell and surprising, conflicting, dramatic headlines get our attention and get viewership. It’s really, really easy to just throw your hands up in the air and walk away from all of it in frustration. Honestly that is not a bad idea! Many people who do just that do not end up feeling any more certain about what will work for them, and that has it’s own set of frustrations. By time a study reaches big news outlets it is either old news or radically blown out of proportion. To find what works for you, go back to the basics – explore what was most satisfying and sustainable in *your* past. Be assured that human beings have historically done very very well on abundant water and produce, so get those veggies in and carry a bottle of water around. The rest of it is fine-tuning that only you can do through trial and error and taking both lifestyle and your unique genetic body into consideration. If you feel overwhelmed you may benefit from hiring a professional to go over it with you. Be leery of anyone who has a one solution for all approach. There are very few singular solutions for every human being on the planet.